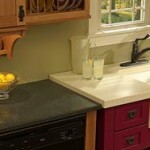 Are you looking for the perfect kitchen countertop colors in Maryland? If you are a homeowner in a city like Baltimore, Annapolis, Alexandria, Fairfax, or anywhere else in Maryland or Northern Virginia and you want to create a kitchen design that’s perfect for your home, then keep reading to learn more. If you’d like to talk to a sales representative who can answer all of your questions, give us a call at 410-712-0601 and we’ll be happy to help. You can also click here for a free online estimate. Picking the right color, especially when it comes to interior design, can make all the difference in the world when you want to give your room the right kind of personality. Different colors can evoke different emotions, so every homeowner should look that kind of statement he or she wants to make when choosing their countertop colors. Doing so will help set your kitchen apart from what you might find in other homes. Know What Different Colors Mean – This is probably the most important thing you could do when you need to choose kitchen countertop colors. Red, for instance, signifies high energy and intensity, while white can mean purity. Look into the meanings behind the colors you’re interested in and build a plan for your countertop design from there. Look to the Rest of the Room – Take a look at the colors of the other fixtures in the kitchen. If things like the furniture, walls, and floor tiles are follow a certain color pattern, then you can get your kitchen counters in a shade of that color to help everything blend together in a seamless way. Consider Complimenting Other Colors – If matching your kitchen countertop colors is something you don’t want to do, then consider going in the opposite direction. Every color has an opposing color, but they can come together to create a unique look when implemented correctly. Consider Countertop Material – Kitchen countertop materials vary in their color options, and some work better than others. If you’re looking for granite kitchen countertops colors, for instance, then you might want to consider neutral tones that play well with the material’s natural origins. Other materials, like ceramic tile, will allow you to experiment with more bold color options. These are just a few of the initial steps you should follow when you are exploring new color schemes for your kitchen counters, but there are many others. If you want to get the most out of the design process, then you will need to work with countertop installation specialist who can make sure you explore every possible option in order to get the best kitchen counters you can. Interested in learning more? Click here to access our kitchen countertop design guide. At Express Countertops, we know just what it takes to make your kitchen stand out. We can help you pick the right colors for your contemporary kitchen countertops so that you can get fixtures that fit your lifestyle and personality. Our countertop design professionals will work closely with you to ensure no detail is overlooked and you have everything you need to create a space that draws attention and keeps your guests talking. With your kitchen being one of the most important rooms in the home, you want kitchen countertop colors that can act as the heart of the room. At Express Countertops, we can make sure that happens. Get A Fast, FREE Estimate Today! 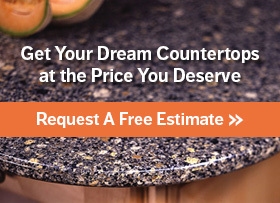 Call us today and get a free estimate on the kitchen countertop colors & materials you truly want. Click here to contact us online or call 410-712-0601. We’ll be happy to answer all of your questions and make recommendations to help create your ideal kitchen. With our 7-day installation guarantee, you can have your new countertops in a week!